celebrate the first day of spring. a group show in New York in May! when some of the ideas on the lists get accomplished. gorgeous spring. You deserve it! that indeed sounds like a happy day, so good to get things accomplished. Your tulips are perfect...especially on this first day of spring. Thank you so much. 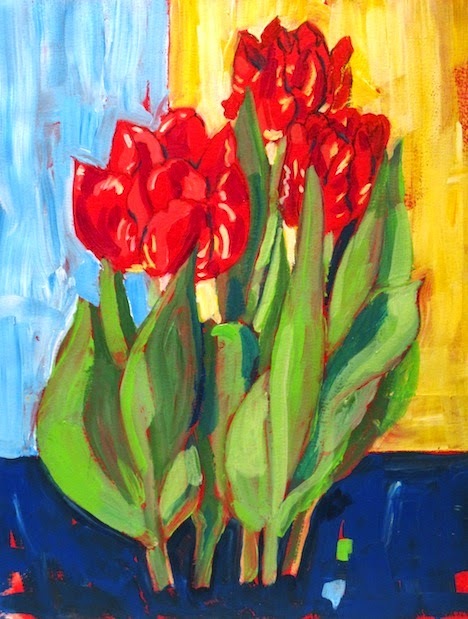 Your compliment means a lot to me, as you are a primo painter of tulips!